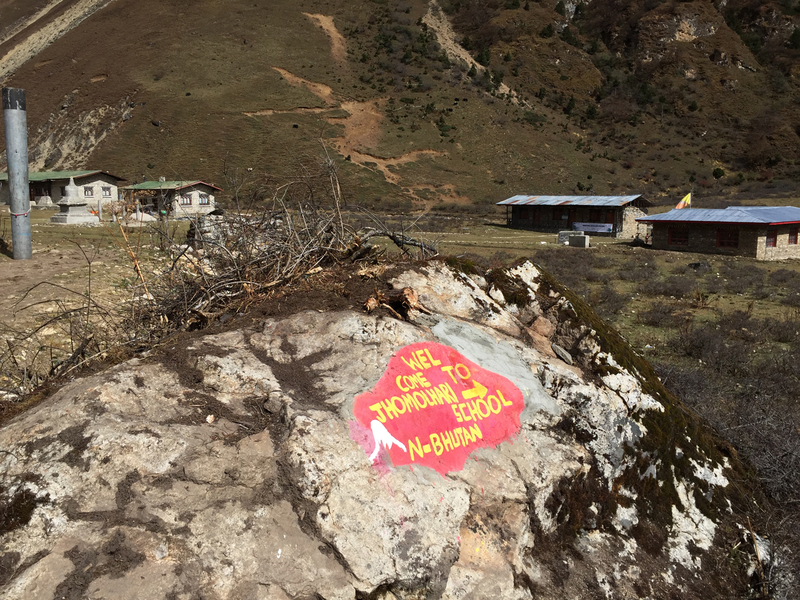 October 12-22, 2015 – I completed trekking up to Tiger’s Nest Monastery and through the Himalayas of Bhutan via the Soi Yaksa Route passing by Mt. Jomolhari (24,035 ft. or 7326 m). Travel Begins: After months of training and anticipation I finally made it to Asia! This is the 6th continent I have visited, only Antarctica remains. Travel began on a early October morning at RDU airport. Our flights took us to JFK, then to Tokyo, and off to Bangkok, Thailand. Tomas and I spent our free day in Bangkok on a very long, outside the city cab ride to a floating market. We rode on one of those long boats with the propeller sticking way off the back. 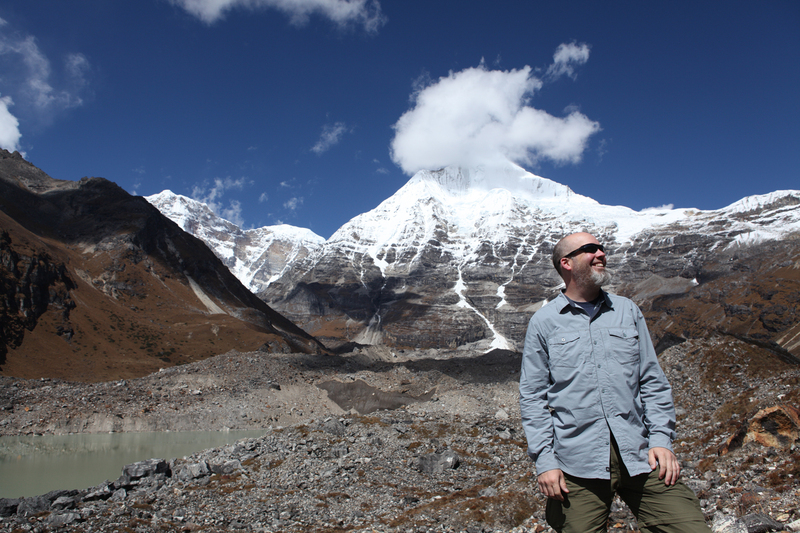 Soon enough we leave Bangkok to Paro, Bhutan, via some small city in India (land but don’t get off the plane). The drop into Paro’s airport was quite exciting, a good few turns close to the mountains, but a nice safe landing. 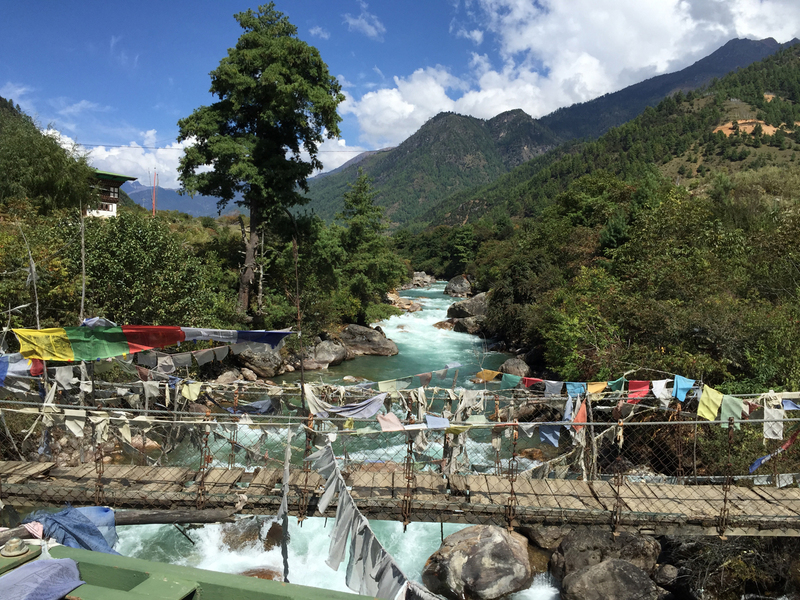 We spent a couple days in Paro then headed out into the Himalayas. The journey is chronicled below. Upon return to civilization we headed back home. The trip took us through another bounce in India (land but don’t get off the plane) to Bangkok. After a night in Bangkok, we headed to Tokyo, then to JFK to home. 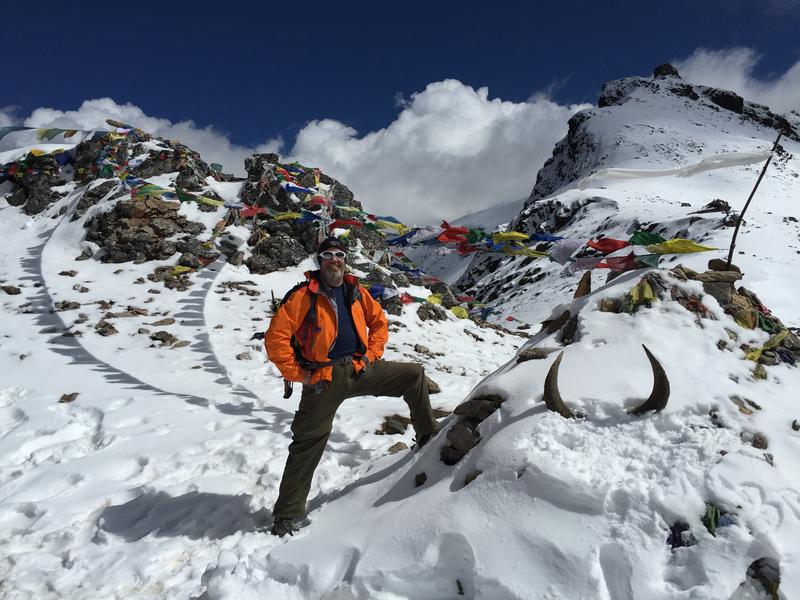 Guide Service: Tusker Trail. What an amazing guide service. This is my second trip with them and they continue to amaze. They are top notch. Thank you Tusker for another amazing journey. 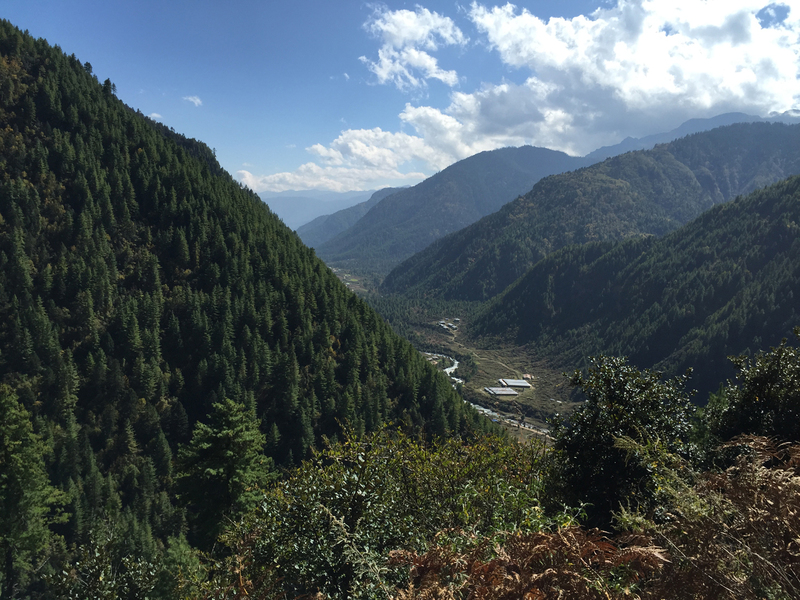 Day 1 – Monday, October 12, 2015: Today we began with an acclimatization hike to Tiger’s Nest. Our starting elevation was 8,500 ft. and Tiger’s Nest is at 10,329 ft. The weather was nice. The climb was medium steep. 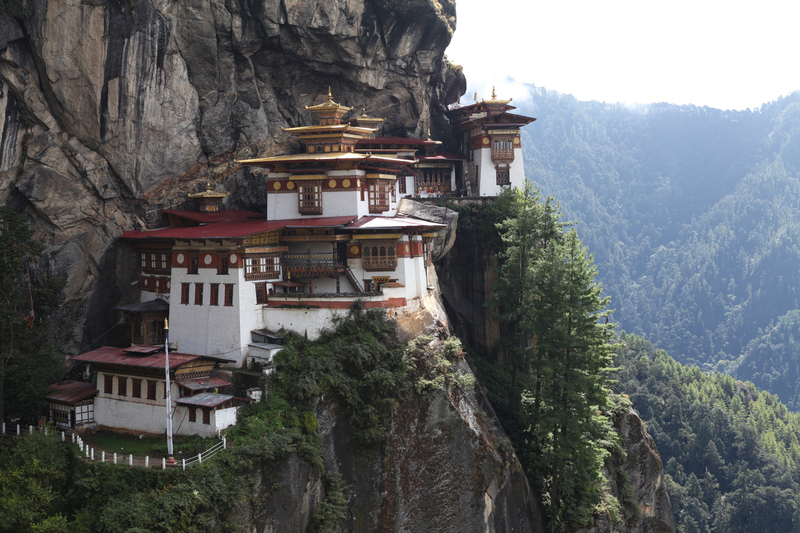 The monastery is perched beautifully on the cliff side. There were many steps at the top of the climb to descend and ascend to get into the monastery. We walked around inside 3 separate prayer rooms, shoes removed. One of the rooms has a hole in the floor leading to the old cave system. 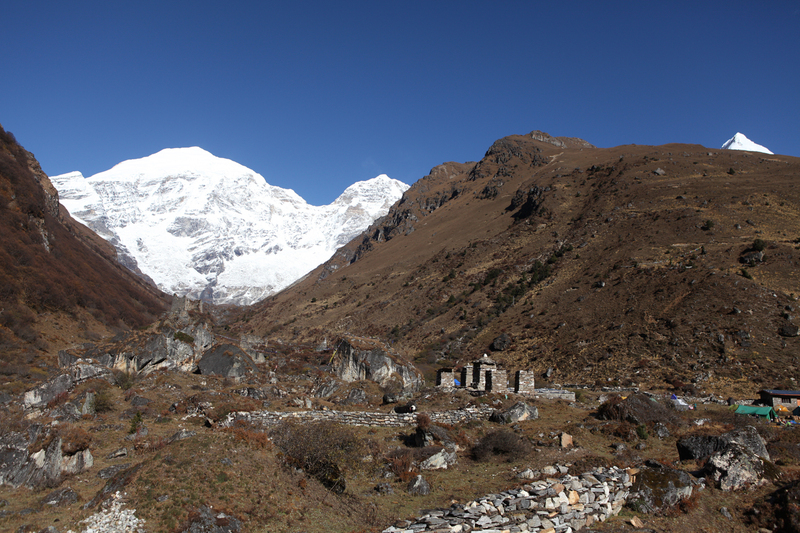 The monastery was built in 1692 though monks had been at this site since the 7th century. The day ended back at the hotel sharing a beer and wine with our trekking team: Tomas, Pam, Des, Chris, Ayub, Catherine and our Tusker leader Mel. 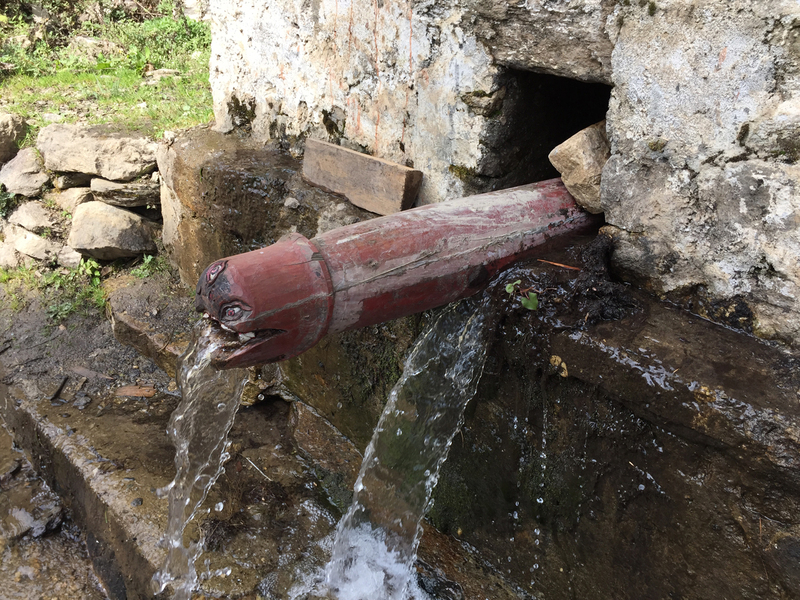 Day 2 – Tuesday, October 13, 2015: Today we left civilization for good, last hot showers, etc. At 10am we began our hike with partly sunny skies. Unfortunately like the 2 days prior, an afternoon thunderstorm formed. We had to cross through a military post. As we got there the sky opened up, wind, rain, hail. We had hiked about 8 miles to this point. All this mileage was along a dirt road. We had about 2 more miles to go. Mel called in the gear bus and we got a ride the rest of the way to camp 1. No more after this, we hike in whatever weather is thrown at us. We’ll be out here for 10 days in the Jomolhari region. 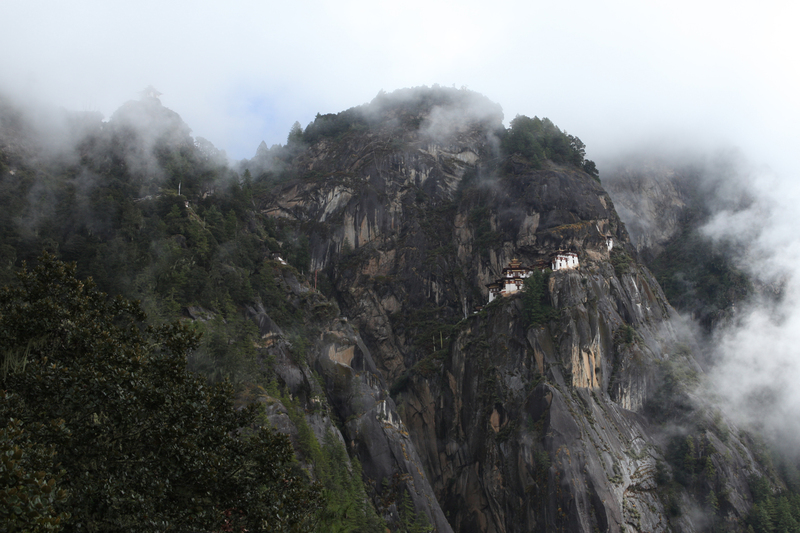 It is a sacred mtn for the Bhutanese. I have a personal porter for my camera gear, Sonam. Our 2 guides are Dawa and another Sonam. With the rain, clouds and showers this evening even though new moon, no star photography. Day 3 – Wednesday, October 14, 2015: Gorgeous start to the day, sunny and warm, relatively speaking. Either way the sunshine felt great. 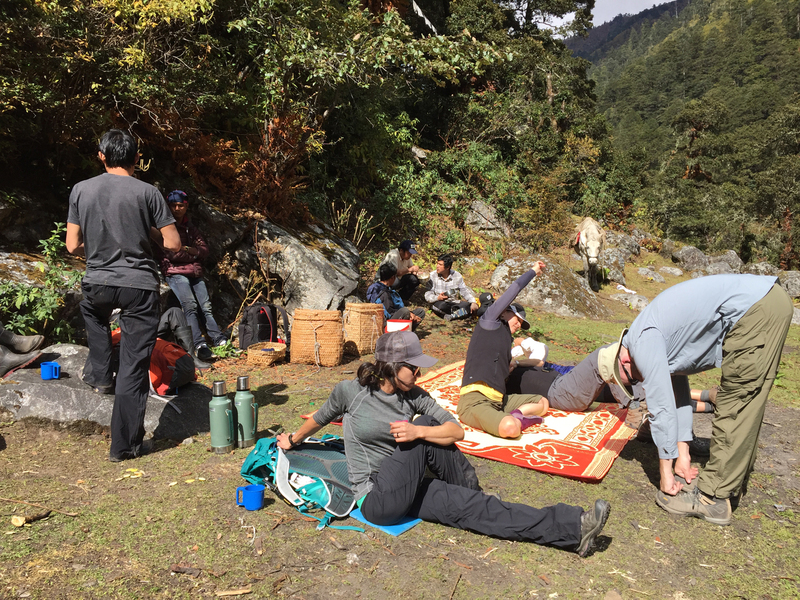 We had a slow paced hike and a super lazy lunch, laid out on a mat in the sun. 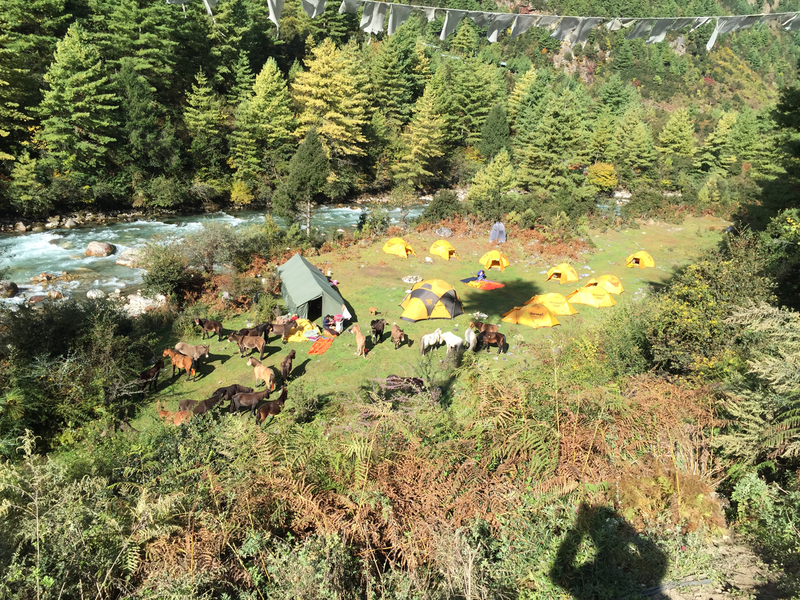 We had to wait for the horses and mules to get to 2nd camp before we arrive. Today, like every day in Bhutan found afternoon rain setting in. We made it to camp and into our tents just in time. No thunder today, the thunder dragon slept. This camp is around 10,400 ft. about 1,000 ft. higher than camp 1. 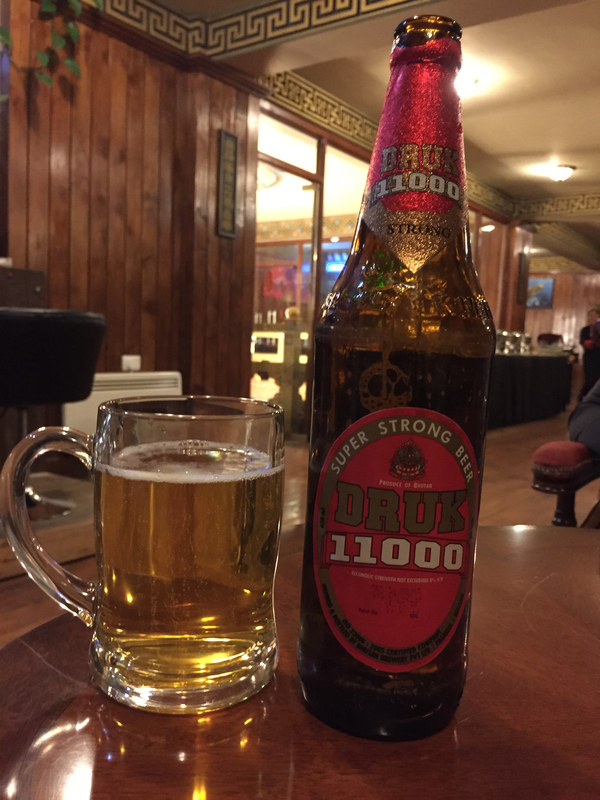 For a 2nd night in a row we have the roar of the glacier fed Paro River to put us to sleep. There are a few stars out and still plenty of clouds. If the weather holds tomorrow we may have our first glimpse of Jomolhari. I thought of Marie and Minou today and smiled. Hoping for some days without rain. 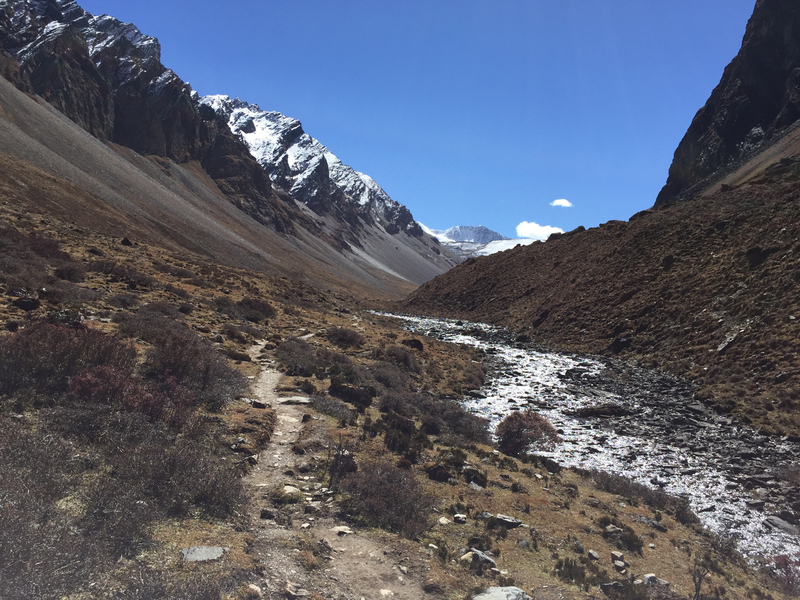 Day 5 – Friday, October 16, 2015: Today was a long day, 9.3 miles and about 1,900 ft. elevation gain to Jomolhari base camp at 13,440 ft. We managed to dodge the rain today! Early on we had some light sleet which came and went all day. There was also a really brief snow flurry at base camp. It’s quite cold here but I expect the 0 degree FF bag I rented to perform well. I’m really glad we’re here for 3 nights so we can relax and not have to pack before breakfast. 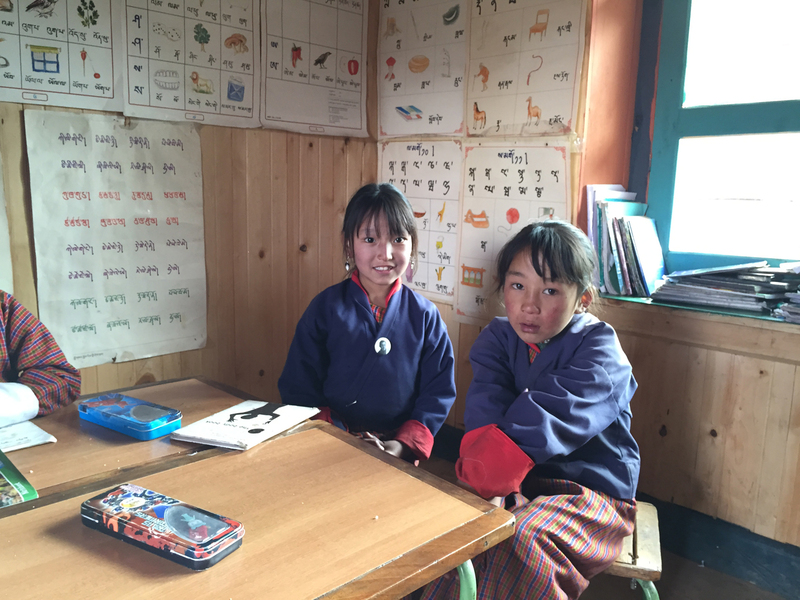 Close to base camp we stopped by the local school. The headmaster welcomed our visit. There were less than 15 students in 3 classrooms: PP, Pre Primary around age 5, another between 7-8 years old and the last were around 10-11 years old. They were all learning English. All Bhutanese government is done in English. Oh, we did get a small glimpse of Jomolhari between the clouds. Day 6 – Saturday, October 17, 2015: We woke to amazingly clear skies and our tents covered in thick frost. Jomolhari was gorgeous! 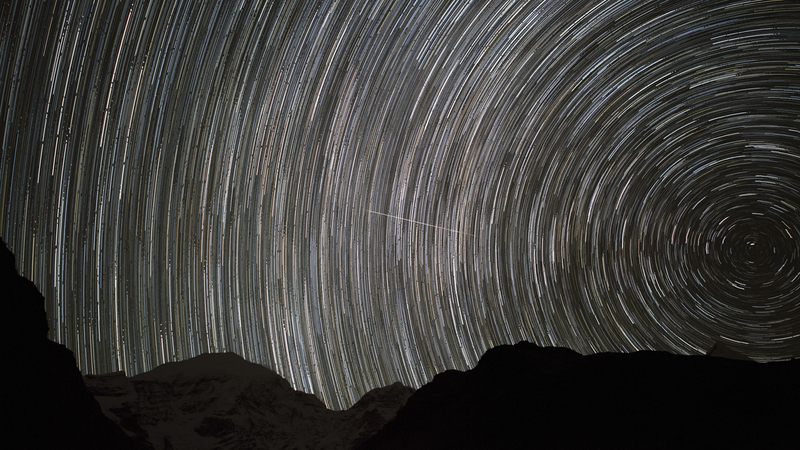 Had I woke at 4am I may have had a chance at star photography. Tonight is only partially clear, so no go for now. 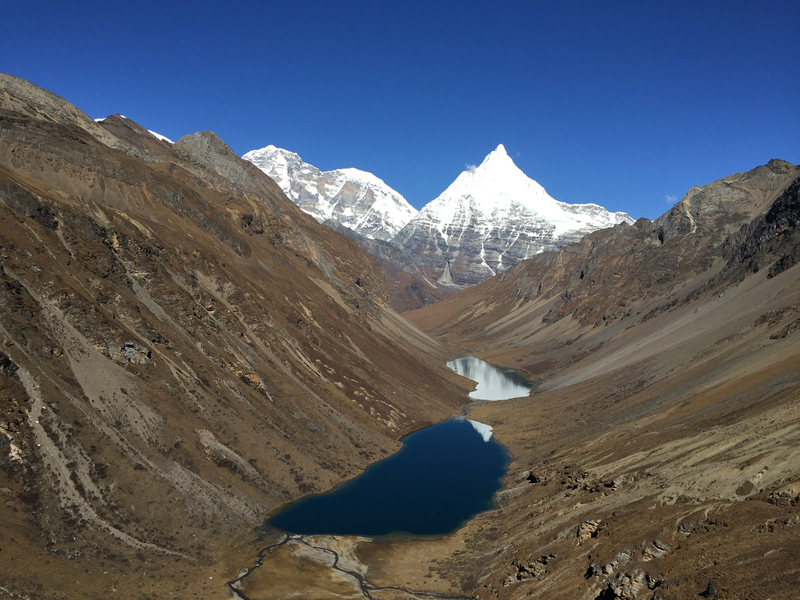 Our day consisted of a short acclimatization hike to the small glacial lake under Jitchu Drake which stands at 22,295 ft. The top tip had the fact of a Yeti. We were back to base camp for lunch after having trekked up to 14,300+ ft. Tomorrow we hike higher. The afternoon featured hot water for hair washing, the ladies loved it. 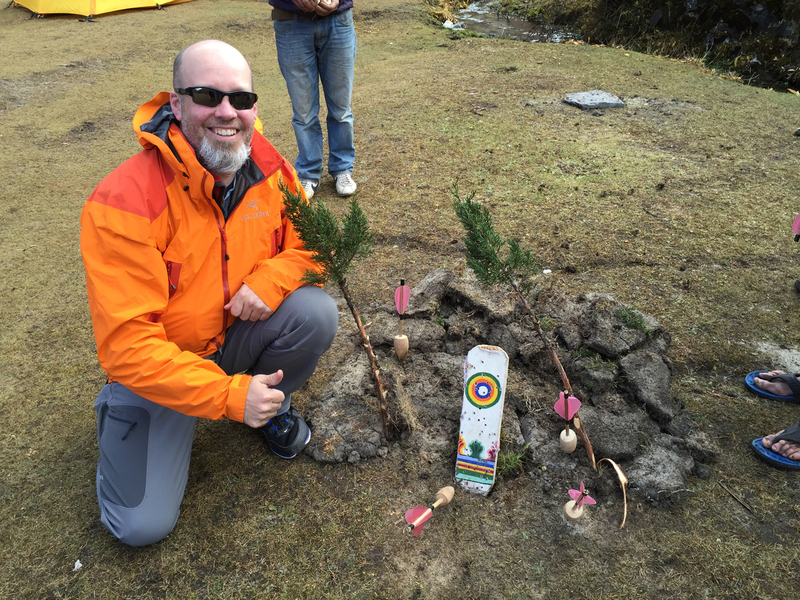 Next was darts, the Bhutan way. It is not easy even for them. Targets are set about 20m apart. Target is 6″ wide and maybe 15″ tall. The darts have a 3″ long metal tip, wooden hand hold, wooden tail and plastic wings. I hit the board once. The rest of the afternoon was relaxing. There was brief rain. I woke up at 12:30am to pee, looked up and the sky was beautifully clear. I setup my camera just outside my tent door, took a few test shots and now all I can do is hope I got it right. ISO 3200, f2.8, 20″ on sun white balance, RAW. If I did my math correctly I’ll be up about 40 minutes with the shutter lock on unless the battery dies first. It is definitely below freezing. I do have spare batteries if I can swap it without moving the camera. I’ll be awake listening for the shutter. 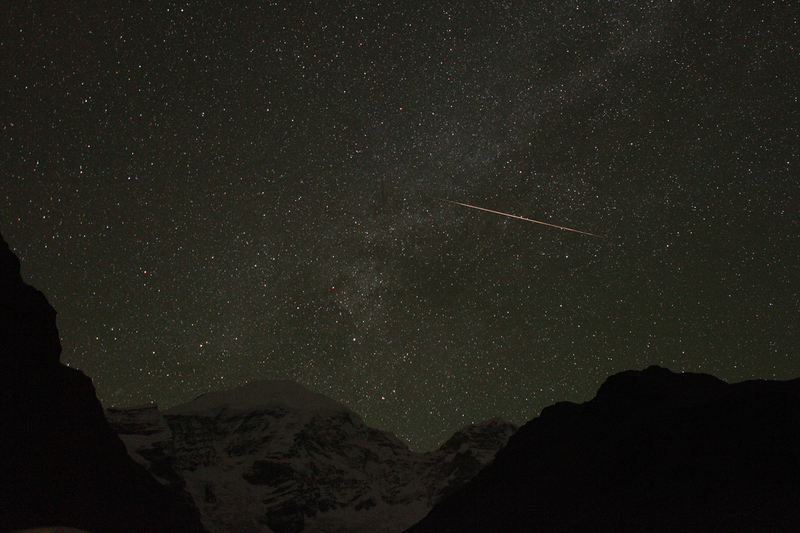 Oh, I caught a meteor in one of my test shots! 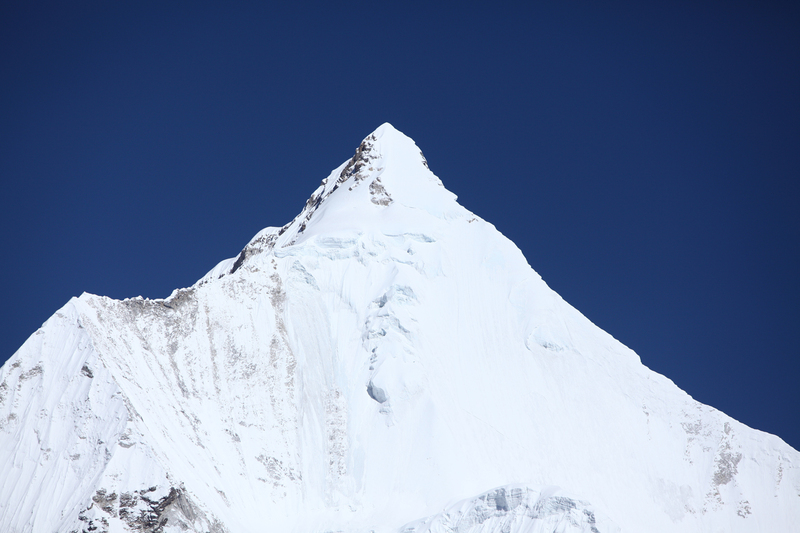 Face of the Yeti on the summit of Jitchu Drake, do you see it? 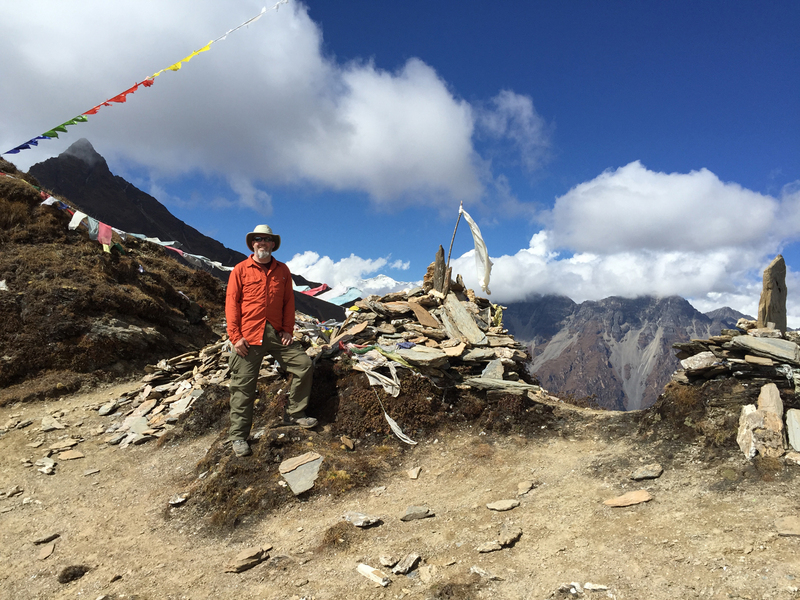 Day 7 – Sunday, October 18, 2015: Today was a successful acclimatization hike. We did 1 of 3 ascents we have to do tomorrow to make it over the 16,000+ ft. pass. From the end of the hike we could see the second ascent but not the third. While relaxing at the top of the hike I scanned the ridges for snow leopard. There are rumors they have been spotted in the area. After coming back to camp we relaxed, played more darts and began prep for tomorrow, our biggest day. Most days has been hot tea at 7, breakfast at 8, start trekking at 9. Tomorrow we start our trek at 7:30 before the sun comes into the valley. I expect it will be a cold start. I’m still a little uncertain how I’ll layer up in the morning. If it is clear like today the sun will be hot, but only after rising high enough to reach us. We had great sun all day giving me a chance to solar charge everything to 100%. 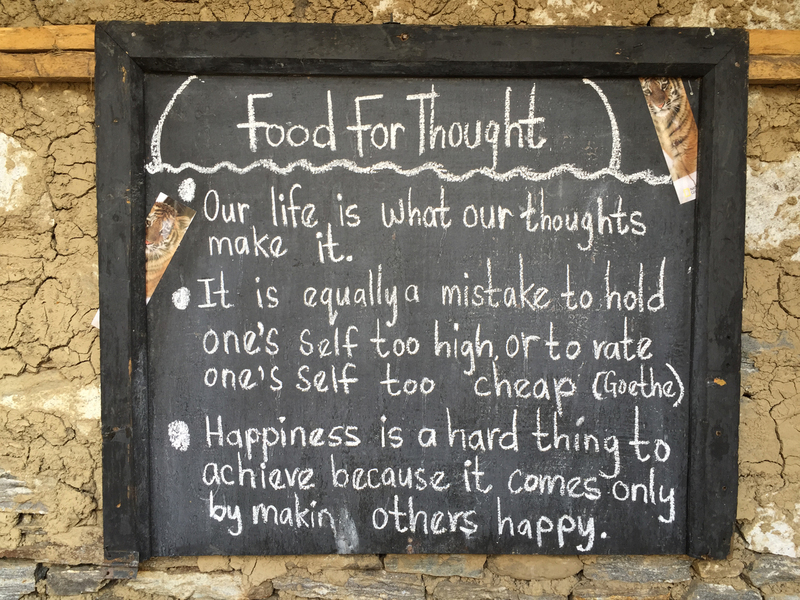 Day 8 – Monday, October 19, 2015: Success! The first and most difficult pass of three was completed today. The pass was 16,080 ft. and a bit of snow on the ground. I was pretty far ahead of most of the downhill of the pass, however I was 3rd into camp b/c Kelzang (my personal porter after day 1) took me up another small mountain and back down to get to tonight’s camp. I don’t think he took me the long way on purpose but it did add to our already longest day and I had run out of water (which wouldn’t have been the case with the direct route to camp). After dinner we got a special treat of a campfire with singing and dancing by our Bhutanese crew and a couple others who came by (a couple ladies we believe knows someone in the crew). We did have gorgeous weather today. Hopefully tomorrow will be the same as we cross pass two, not as high as today’s. 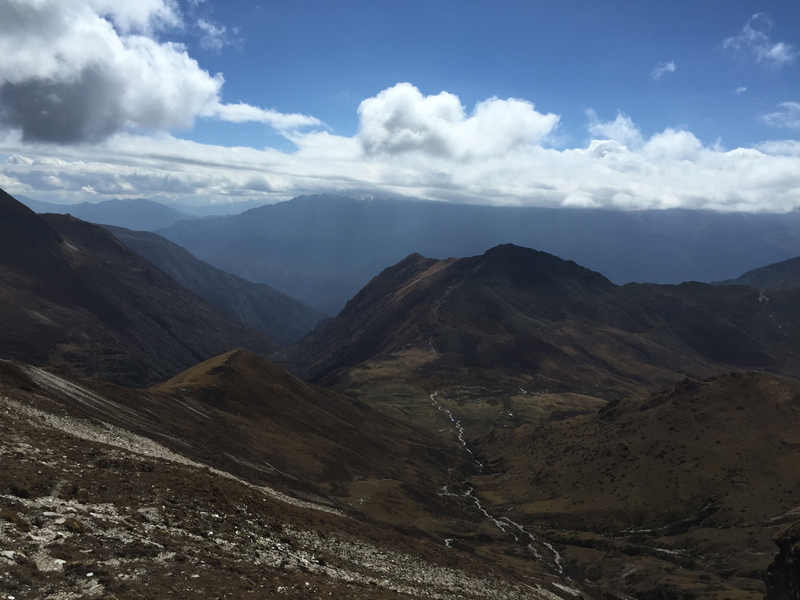 Day 9 – Tuesday, October 20, 2015: We crossed our second pass today around 14,900 ft. From the top we could see Jomolhari and also far off in the distance the 3rd highest peak in the world, Kanchenjunga (on the Nepal/India border, elevation 28,169 ft.). The top was covered in clouds. Our trek today began around 12,700 ft. and our descent on the back side took us to camp at 13,700 ft. There was nothing else all too exciting about today. There are a ton of yaks here in this valley. Tomorrow is our last full day of hiking. 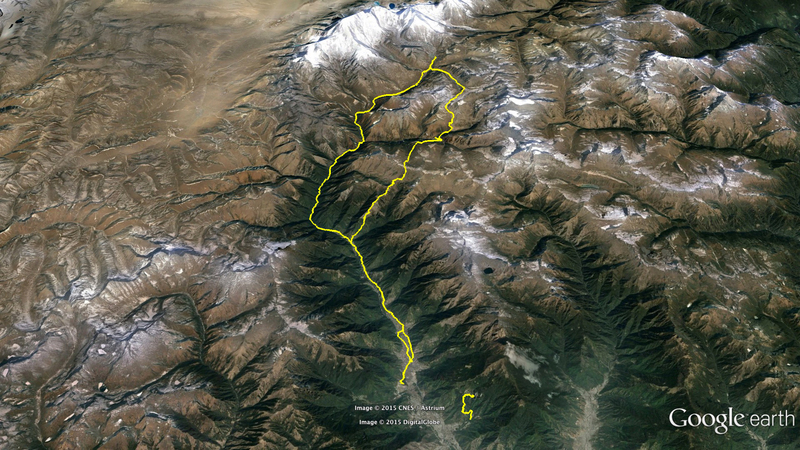 We start with a small 400 ft. climb to the third pass then descend 5,000 ft. to the last camp. I did spend some me time in my tent this afternoon listening to the Symphony X album Paradise Lost. I miss listening to music regularly. 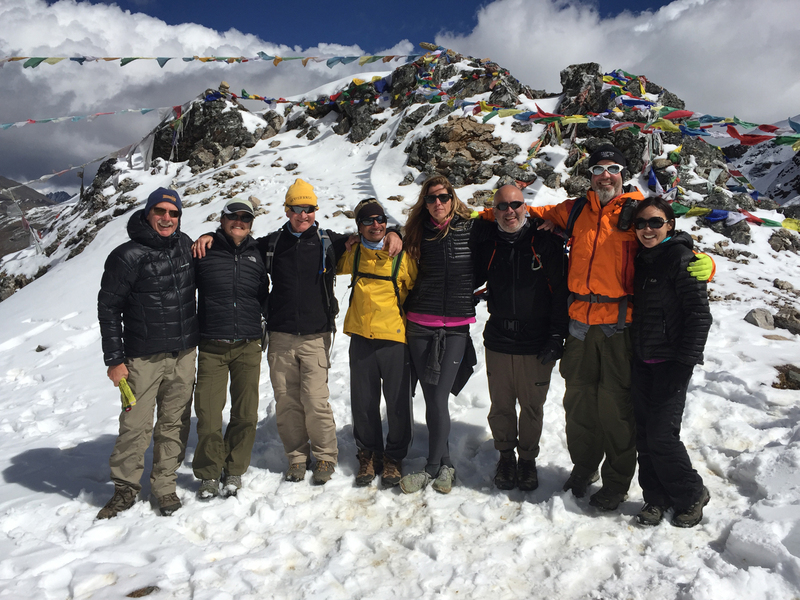 Day 10 – Wednesday, October 21, 2015: We completed our 3rd pass today which was over 14,200 ft. We then descended over 5,000 ft. to our current camp. We had another campfire with song and dance. I led the Bhutanese crew in a short version of the hokey pokey, it was hilarious. We were able to drink a few beers to celebrate the success of our long journey. These are those memories of a lifetime. Good people, amazing scenery and one hell of an adventure. 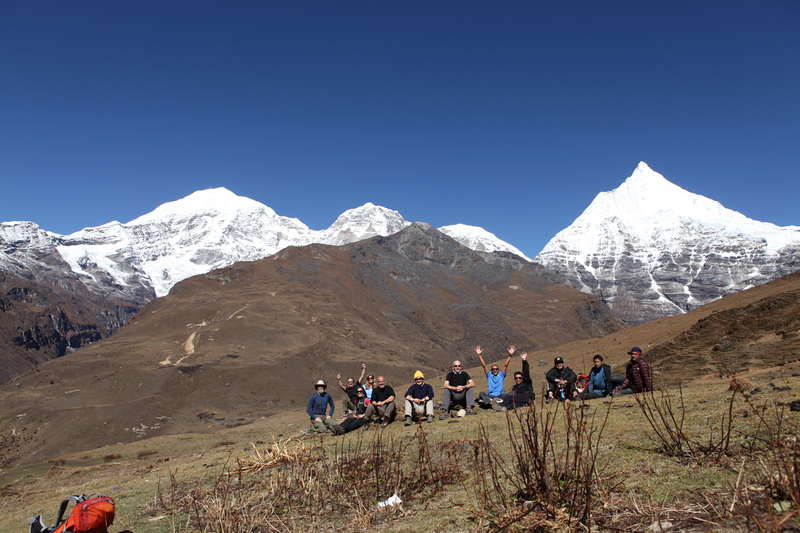 At last camp, full Bhutan Crew and Trekkers! (I hope I spelled everyone’s name correctly and in no particular order) — with Kinjang, Dawala, Som D Rinchhen, Passang, Gembo, Omnath, Daba, Pem Doji, Catherine Brown Morell, Pamela Johnston, Pelden, Chhimi, Kelzang, Tshering, Ayub Ano-Madic Joy, Dezy, Tomas de Leon, Melissa Lee, Dawa, Sonam and Chris Marshall. 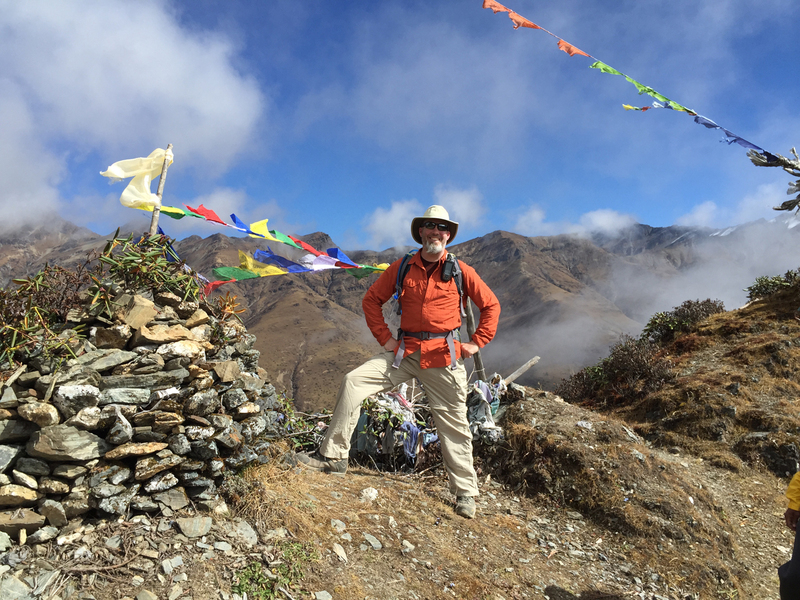 Day 11 – Thursday, October 22, 2015: Last hike of the journey. Today we exited the wilderness and returned to civilization. A hot shower was amazing! Before the shower we had a picnic lunch at Drukgyel Dzong (Victory Fort) before driving to Thimphu for a couple days of cultural experiences. We’ll head back to Paro for the long flight home. What a fantastic experience and I’m glad for new found friends. 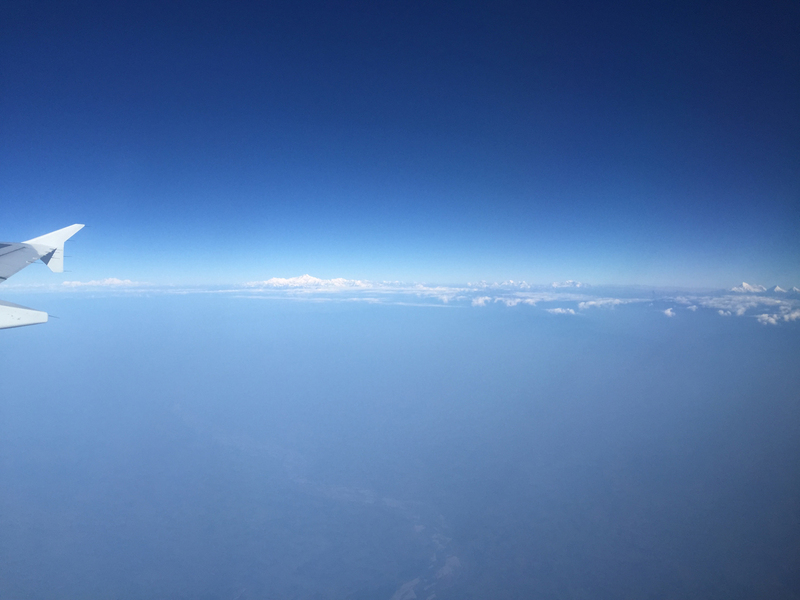 From flight leaving Paro the largest mountain left of center is Kangchenjunga, 3rd highest in the world at 28,169 ft/8586 m. On the right of the photo is Jomolhari, Jitchu Drake and at the right edge is an unnamed mountain.